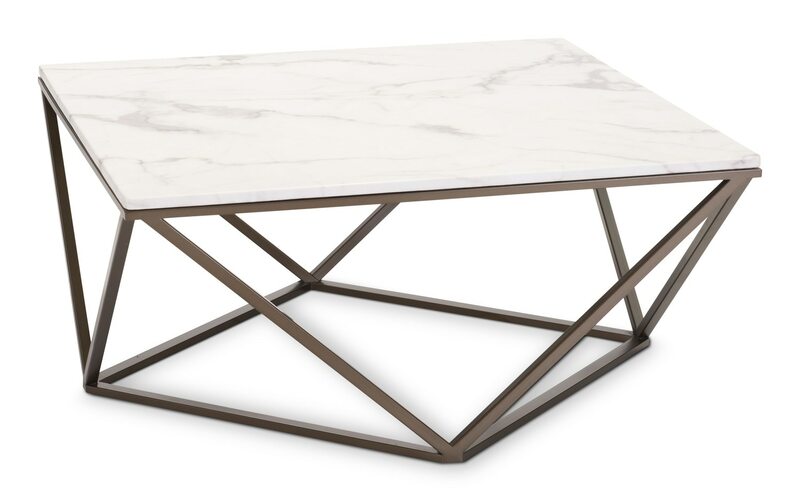 Product Description This gorgeous Emma coffee table with its square marble-like top that rests on an architecturally inspired base is a beautiful addition to any living space. Its modern open-air design is perfect for small spaces and its large surface is functional, keeping everything you need close at hand. Construction: The durable metal frame ensures resilient construction.